Over the last seven years, I have been doing my bit in helping my clients innovate more effectively. Their business domains varied from apparel design to aircraft design and from software product development to educational services in social sector. During this journey I ended up using a number of tools – perhaps over fifty. However, I have developed special friendship with some of the tools – primarily due to their usefulness under varied contexts. Here I would like to present 3 such tools which I find very useful in almost any context. 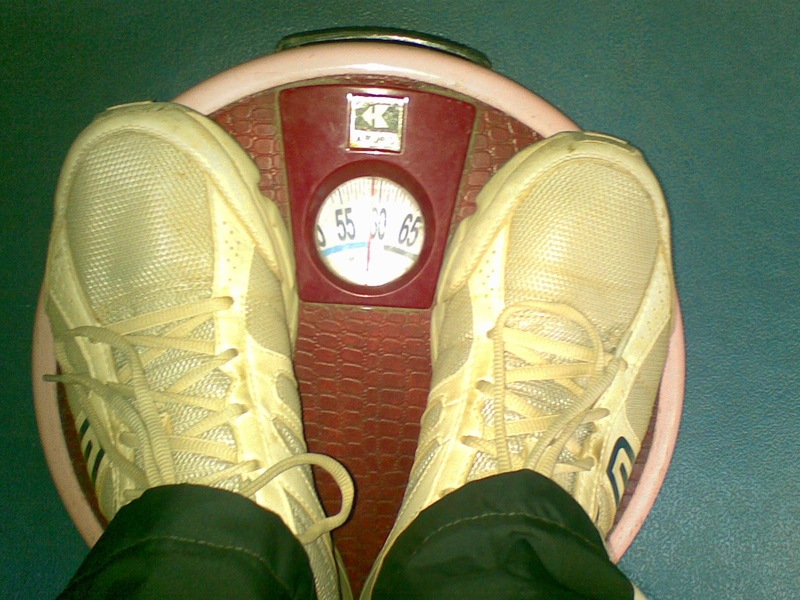 Weighing scale: I am a big fan of weighing scale as a metaphor. It is simple, easily accessible and provides emotion-proof feedback. You weigh the same no matter how angry you are. In contrast, a report based on an annual survey is typically neither simple, nor that easy to re-create and incorporates emotional biases. I suggest innovation dashboards and also get my clients into a dialogue on 5-levels of innovation maturity which are more like weighing scales. Not everybody in the room may agree on whether they are at level 2 or 3 on innovation maturity. However, it creates a useful discussion on what they can do next. For example, if the key challenge is that the average response time for an idea is more than a month, a discussion happens around what can be done to reduce it. 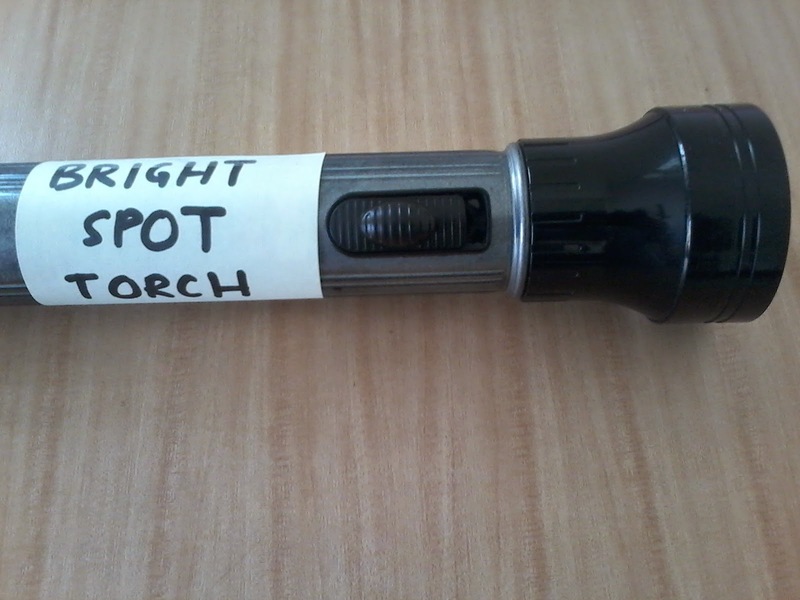 Bright-spot torch: A torch is useful in focusing the attention to a specific area. I use a special type of torch which helps me focus on bright-spots in the organization. Bright spots are things that are already working well in some corner (e.g. see how bright spot led Steve Jobs to iPod). A few weeks back I facilitated a session on writing technical white papers in a client organization. As part of the preparation I tried to gather the technical papers written by the employees in the organization in recent past. None was identified. However, when I asked the same question during the session, one hand got raised. In fact, he told us the story of how he went about preparing for the paper which everybody found useful. Bright spots are useful because they can tell us a lot about how things work in the same cultural context. They inspire and also give direction. Bright spots are not easy to find because they typically don’t bubble up through status reports. Whether it is interesting prototypes or big bets related to specific technology trends (like cloud or humanoids), chances are high somebody in some corner is working on it or at least thinking about it. Can we zoom in there and find more about it? Perhaps the situation is scalable. Checklist: Intuition works great when we are doing things we are familiar with. However, when we are trying to change mindset, intuition is not very helpful. Sometimes people are not used to submitting ideas, managers are not used to listening to ideas with an open mind, and senior managers are not used to participating in innovation reviews. In such situations I find checklists very helpful. I propose a checklist whether it is a challenge campaign or an innovation review or even a white paper to be written. For example, here is a sample checklist for running a challenge campaign and here is an author’s checklist for writing a white paper. My customers find it useful. In fact, I have earned some brownie points by creating a checklist for groceries which we use at home. 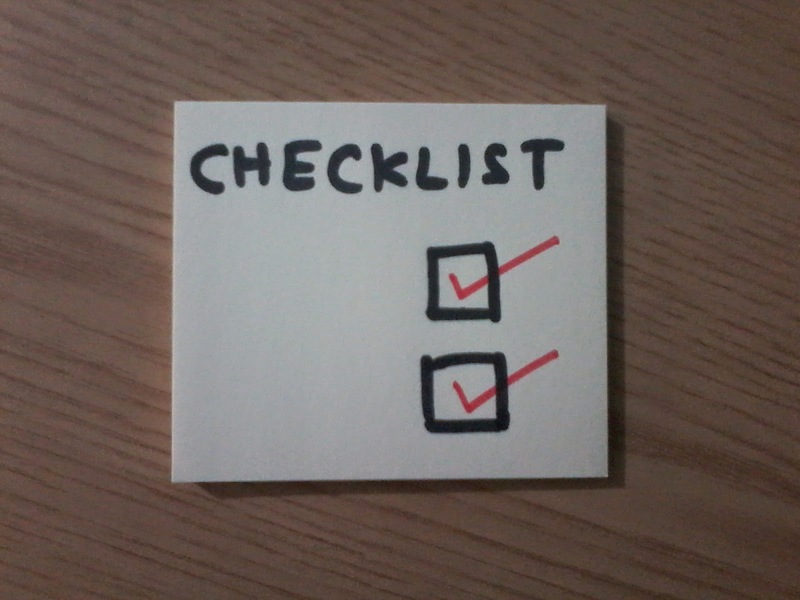 A checklist is more helpful when intent to improve things exists. You need different set of tools to generate intent (e.g. a challenge book). It is not surprising that each chapter in our book “8 steps to innovation” has a checklist at the end. 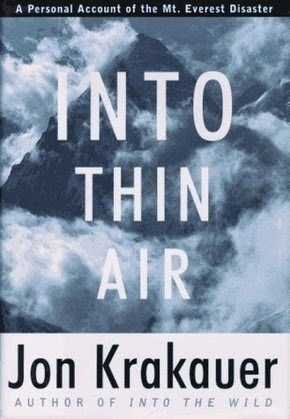 When I finished reading “Into thin air: A personal account of the Mt. Everest disaster” by Jon Krakauer a couple of weeks ago, it was still considered the worst Everest tragedy. It is a story of a disaster that happened on May 10 and 11, 1996 on Mt. Everest in which eight people died in a single storm including two expedition leaders: Rob Hall and Scott Fischer. However, as I am writing this blog, it is no longer the worst tragedy. Friday before last, on April 18, sixteen Sherpas got killed in an avalanche. Climbing Mount Everest continues to be a risky affair and no amount of learning is likely to completely eliminate the risk. In the words of Krakauer - On Everest, it is a nature of systems to break down with a vengeance. That doesn’t prevent people like me in deriving learnings from the 1996 disaster story. Here is my key take-away from “Into thin air”. Rob Hall was world’s leading Everest guide running a company “Adventure Consultants”. By 1995 Rob had assisted thirty nine clients reach the top of the mountain and return back safely. In 1996 May expedition his team had clients some of whom had paid as much as sixty five thousand dollars in order to get to the world’s tallest peak. On the summit day, Rob reached the summit after 2pm and waited for his team member Doug Hansen to reach the summit till 4pm before they began their descent. Doug was so tired by the time he reached the top, he didn’t have much energy left to come down. As luck would have it, he ran out of his oxygen too. Both Rob and Doug got caught in the storm that followed and didn’t make it down. How could a disciplined expedition leader like Rob Hall make such a mistake of not adhering to a predetermined turnaround time? As Krakauer writes in the book: Lucid thought is all but impossible at 29,000 ft. In addition, the intensity of the desire of achieving the goal – for you and for your clients - is much higher than the cold-blooded process adherence and turning back at 2pm. In short, your thinking is heavily biased. But equally importantly, it is known apriori that your thinking is going to be crooked as you climb up. Then why not plan taking into account such a possibility? Is it possible to create a plan that accounts for the distorted thinking during its implementation? This is the central question when you want to “design as if implementation matters”. To use the Elephant-Rider metaphor of the mind, it is like the Rider planning for a situation when the Elephant has taken over. How do we do it? Here are a few options none of which is fool-proof: One, responsibility of the turnaround decision can be delegated to a place where the mind is less emotionally charged and has more oxygen e.g. the base-camp or camp-one. Two, after the predetermined turnaround time, everybody coming back takes the responsibility of requesting the up-going climber to turn around, despite your position in the pecking order. Three, each expedition team performs pre-mortem before the expedition begins. In this exercise everybody in the team imagines a situation in the future when the project has been a massive disaster. In Everest expedition, it means imagining your own body lying around 28,000 ft and several other casualties. And then listing down what all went wrong. That leads to various precautionary measures and a common understanding of the importance of a protocol such as turnaround time. “Design as if implementation matters” has significant implications for the design of business strategy. A strategy which gets finalized in an offsite in cosy settings may fail to take into account the emotional biases of the team during its execution – just like Hall’s Everest team. No amount of planning can eliminate the risk in Everest expeditions or in business. However, techniques such as pre-mortem may help increase the “Margin of safety”. Mt. Everest - The storm (1996) - A PBS documentary on the 1996 disaster directed by David Breashears, one of the members of the IMAX team who climbed Everest during the same season and also helped the teams caught in the storm.